Specialty wood products featuring spectacular turned bowls crafted from solid logs. 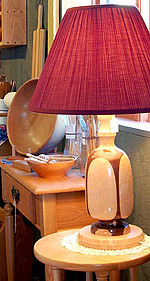 See the art of wood turning in the hands of a master artisan who has perfected the craft for over 35 years. Finished bowls, each unique, are ready for purchase.